Our First Team of 2015 is Back! — Canvasback Missions, Inc. Patients wait at our gynecology clinic on Majuro. Our first team of 2015 is back after doing two weeks of gynecology, ultrasound, and mammography care on Majuro, Republic of the Marshall Islands. The doctors and nurses were totally overwhelmed with patients as women crowded the clinics, hoping for a chance to see our doctors. 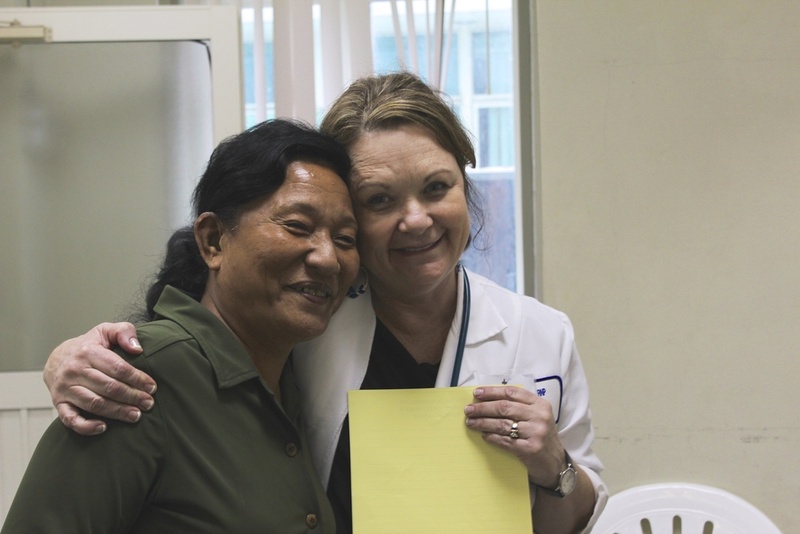 The team saw and treated many who had never before seen or received care from a gynecologist. As a result, they encountered many advanced and severe cases. One woman came in with a basketball-sized abdominal cyst and advanced breast cancer. Another saw our doctors in hopes of getting a hysterectomy—only to discover she was pregnant. Many women had cancers that could have been prevented if they had access to annual screenings and checkups. 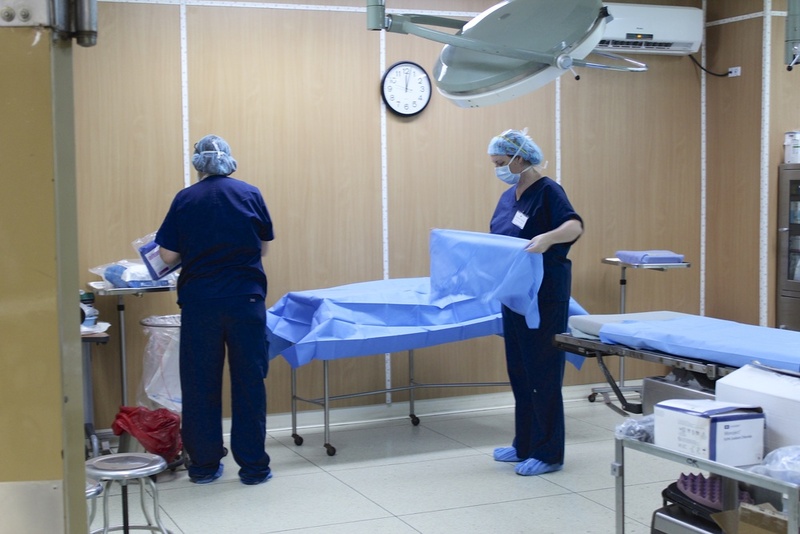 Some surgery cases were extremely challenging because of the lack of care and advanced stages of disease. 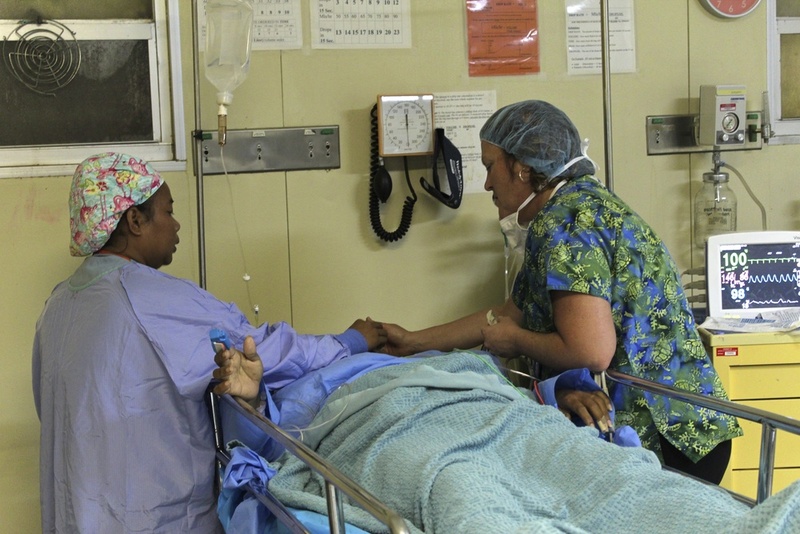 Because of the great needs, the team's care was critical and well-received. 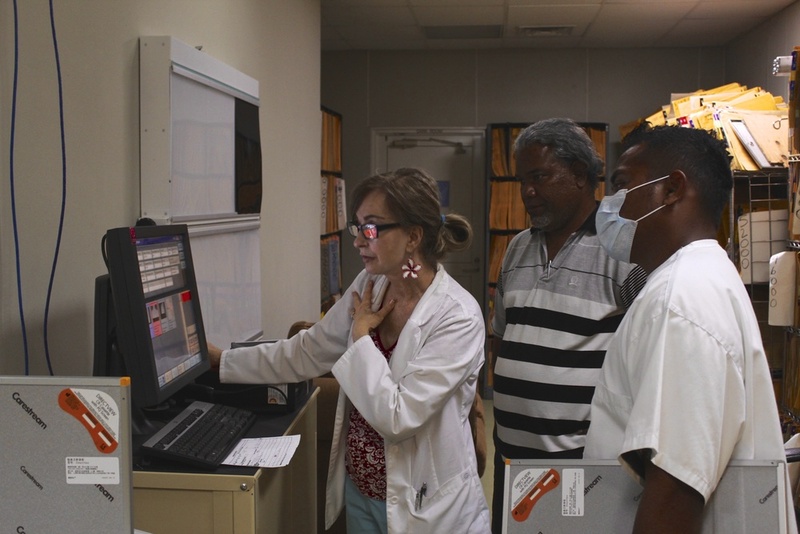 One of our team members—Des Schaefer—came to train hospital staff in mammography and radiology procedures. She was invaluable in updating their techniques; before her training, they were frequently taking x-rays that were fuzzy, incomplete, or lacked basic information markers. Her specialty also provided insight into otherwise invisible problems. She reported that scans of women in their 40's looked like typical scans of women in their 60's and 70's—their blood vessels were extremely calcified. Schaefer explained this was a result of diabetes. Globally, the RMI has the third highest prevalence for type 2 diabetes. The gynecology team accomplished a lot. 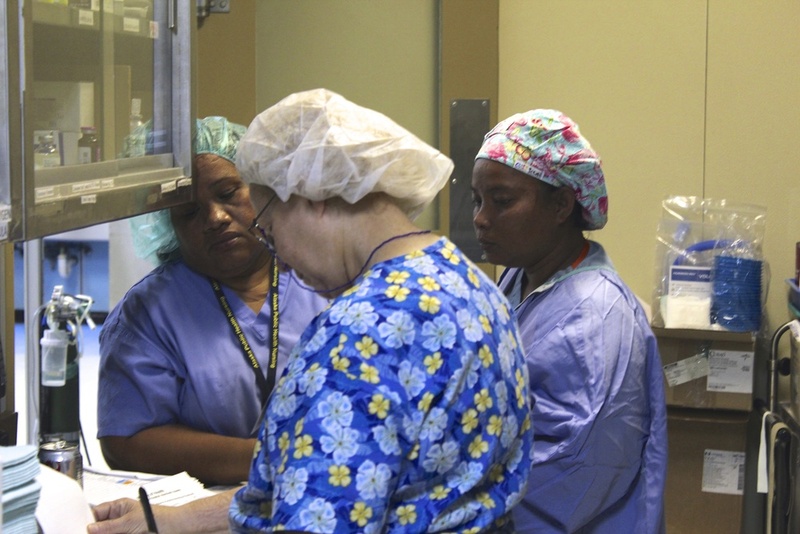 It saw 624 patients and performed 56 surgeries during the two-week clinic. Despite this success, there is a great need for health work in the Marshall Islands and in the entire region of Micronesia. 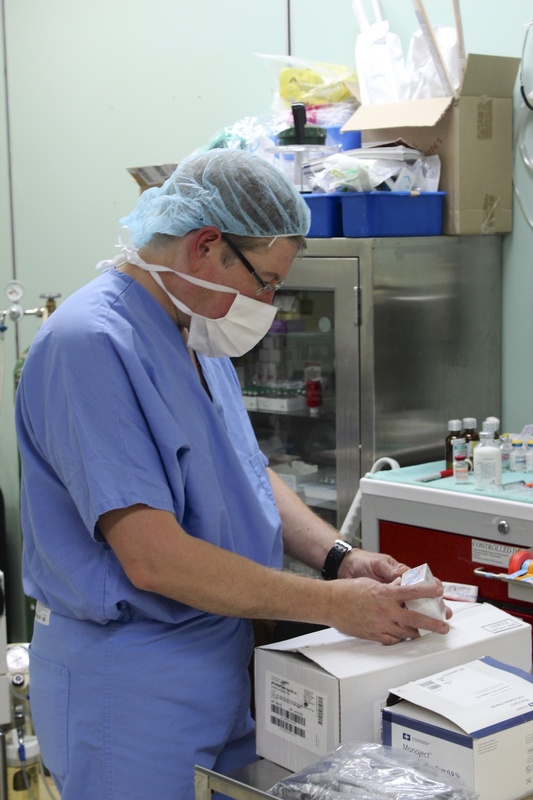 Specialty surgery teams are in demand, but long-term public health measures are also critical.